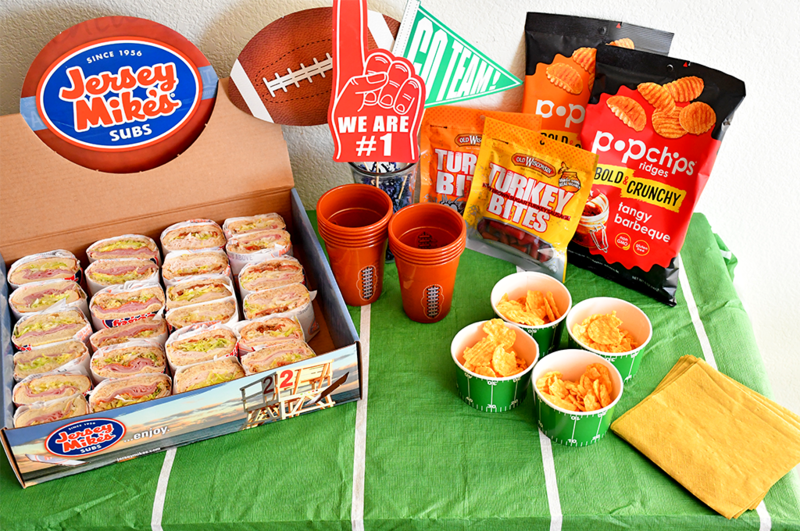 Hosting a Game Day Party for the upcoming football game this Sunday? 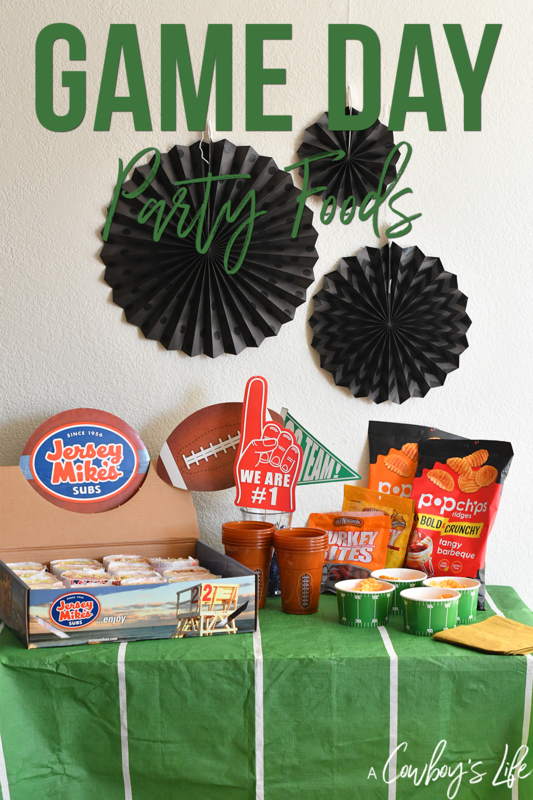 Here’s your party plan with must have food and decorating ideas for the big game! Whether you are watching to cheer on your favorite team or to catch the best commercials, it’s the food that is the star of the show! But no need for complex recipes and hard to make food. The best football food is always easy, classic dishes that everyone enjoys. 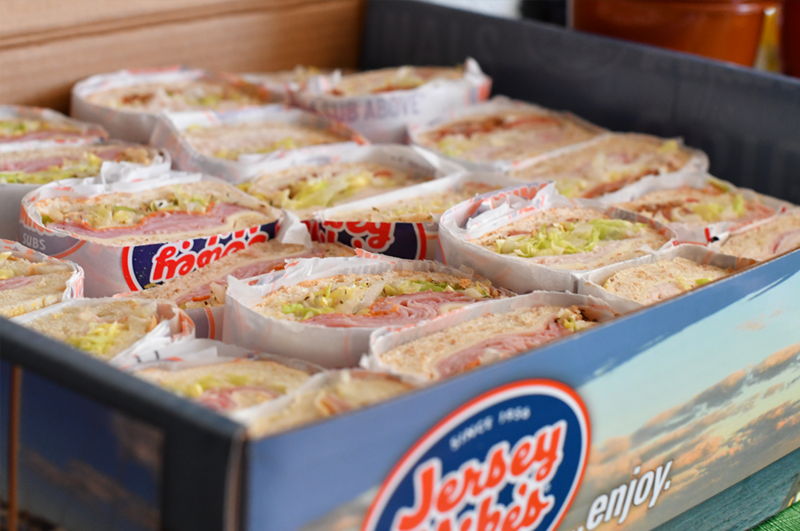 Having your party catered by Jersey Mike’s served with perfect game day food is the only way to go. 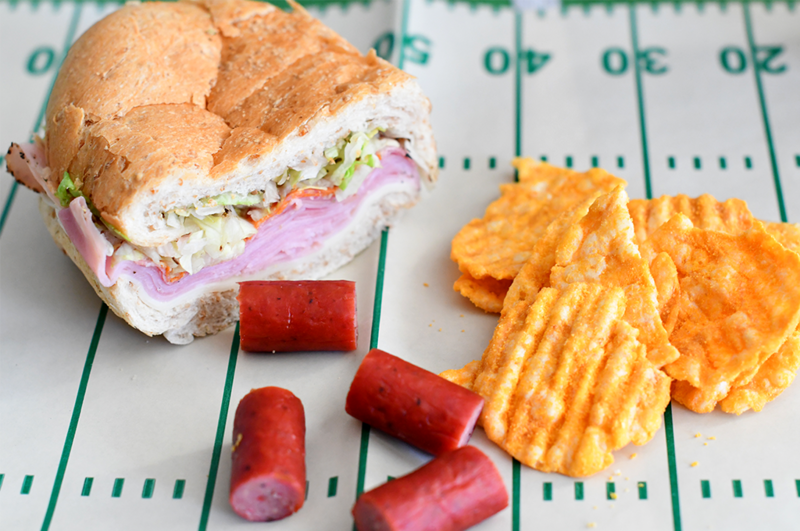 This Big Game catering box is the perfect party food for your watching party. It’s made with four mega subs, which makes it customizable for your party needs. I ordered four different subs with different toppings to ensure there was something everyone enjoyed. Be sure to order a box (or two) for your party. Jersey Mike’s call ahead and online ordering makes party planning so simple! When I went in to pick up the order, not only was it ready, but they also supplied plenty of napkins and condiments. It’s not a party if you don’t serve chips! 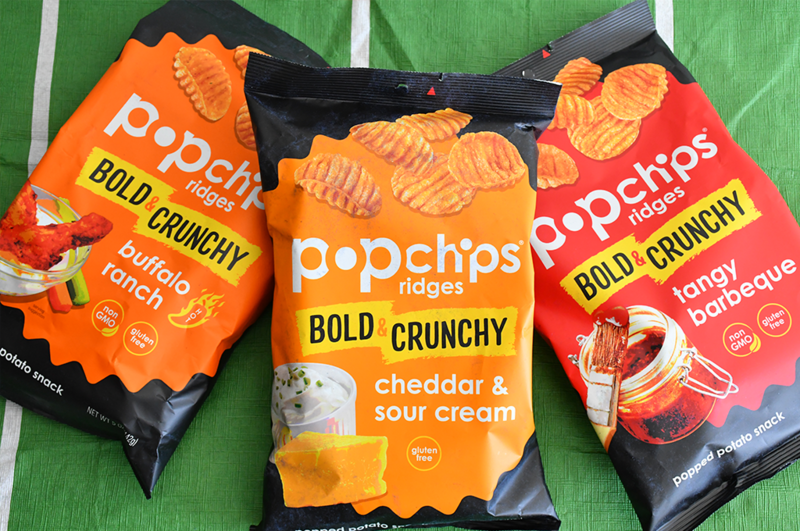 The bold & crunchy popchips ridges are the perfect game day snacks. Plus they a sturdy chip – great for dipping. These crunchy, better-for-you snacks won’d leave you feeling greasy or guilty. They are never fried and contain only real ingredients. They made with no trans fats, cholesteral or preservatives and only 130 calories per serving. Find popchips on Amazon or at your local grocery store. Buffalo Ranch Ridges – Tastes like buffalo wings minus the sticky fingers. Cheddar & Sour Cream Ridges – This trio of taste is packed into extra crispy ridges for a mouthful of deliciousness. Tangy Barbeque Ridges – Sweet, smoky and a touch of spice. Tastes of true BBQ without greasy fingers. These healthy, gluten free protein Old Wisconsin turkey bites are delicious. 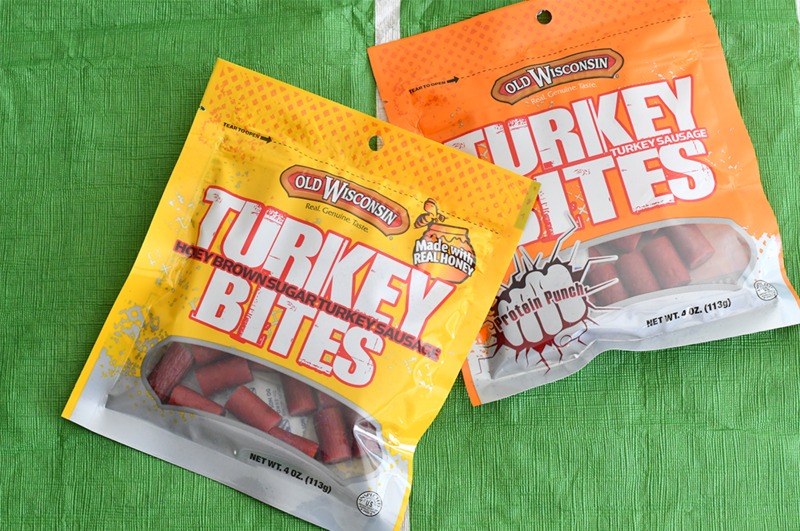 The Honey Brown Sugar Turkey Bites are the perfect blend of sweet and smoky all packed into little bites! Whether you are snacking at home or on-the-go you’ll enjoy these less fat and calorie turkey bites. This is the perfect guilt free snack option. So no matter if your guests are doing Whole 30 or Paleo, everyone will be able to enjoy these snacks. 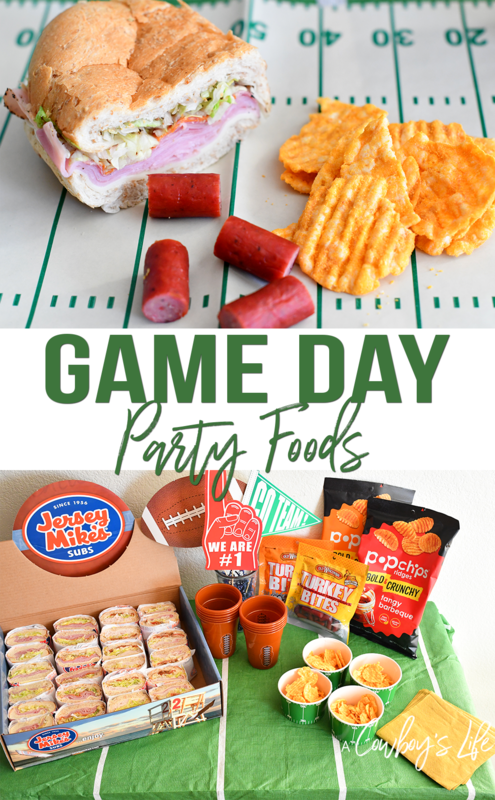 Are you hosting a Game Day Party? Be sure to grab these foods to serve at the party – they are a crowd pleaser.